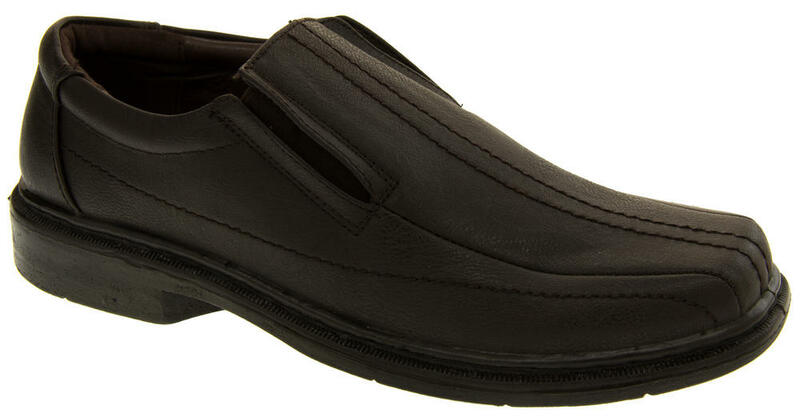 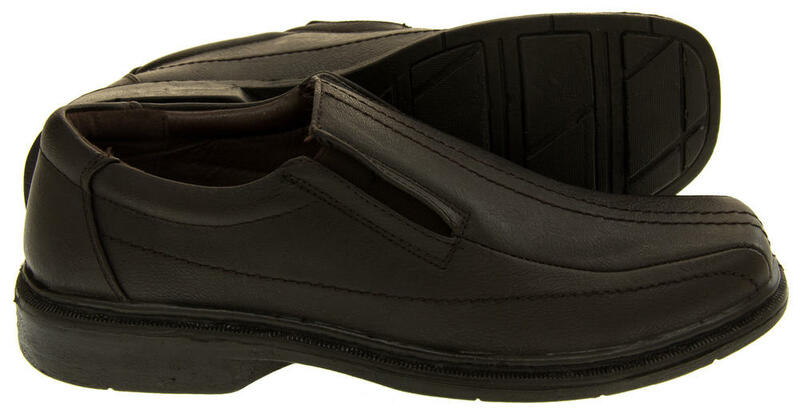 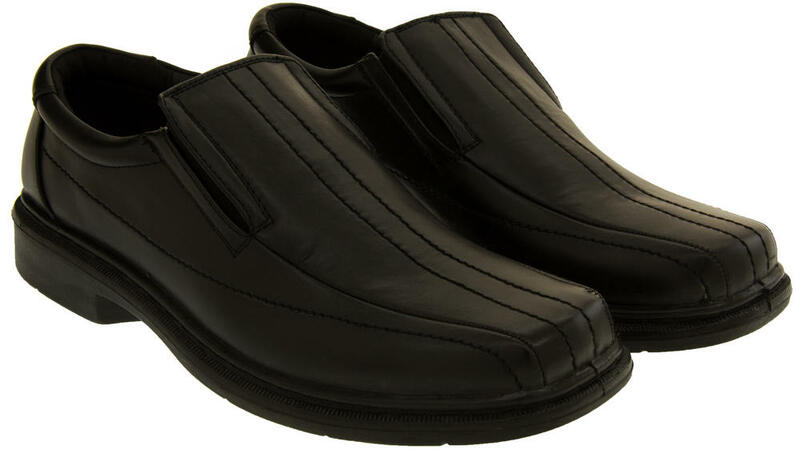 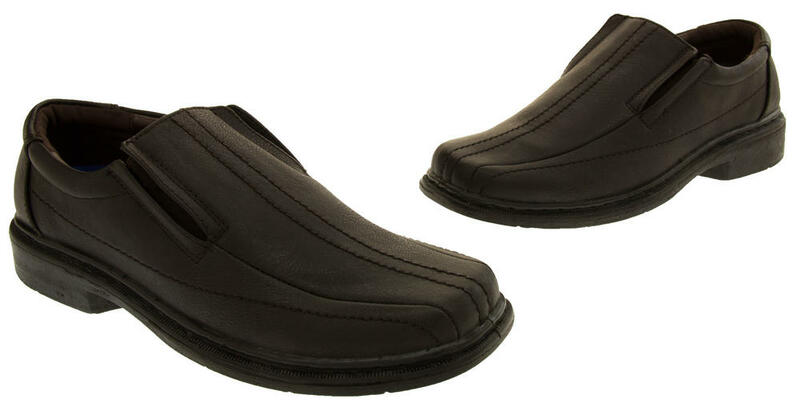 These gorgeous faux leather slip on shoes are the perfect choice for any man who wants both style and quality. 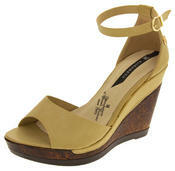 They are leather lined, with a padded insole and ankle cuff making these shoes the ultimate in comfort. 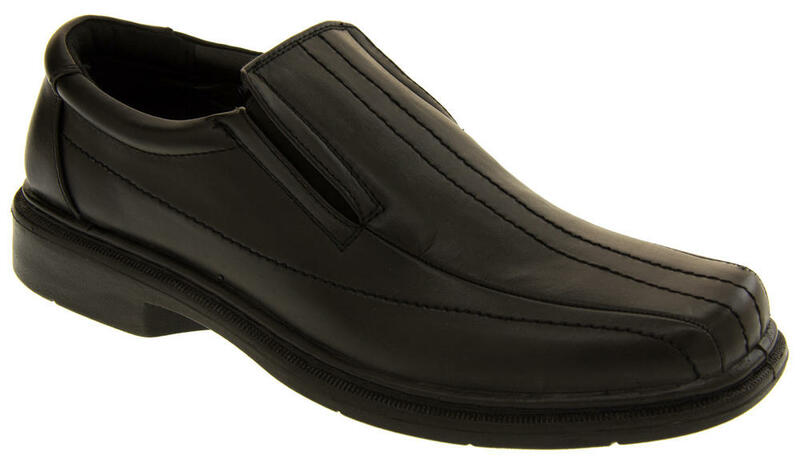 Look smart in these twin gusset formal shoes, great for any occasion such as work, a wedding or even school!